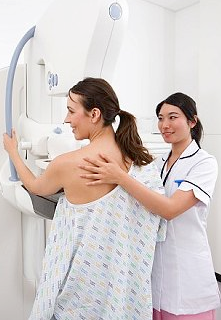 Despite advanced technology, or perhaps because of it, there are a few things that can trigger a false positive on a mammogram. Marla Ahlgrimm explains in this brief post. According to Marla Ahlgrimm, the process of the modern mammography has saved countless women from succumbing to breast cancer. However, the more sensitive testing equipment becomes, the more it picks up on non-cancerous malformations hiding beneath the tissue. The most common are cysts, dense tissue, benign tumors, and calcium deposits. However, misdiagnosis may also be triggered by outside influences. Breast implants, reports Marla Ahlgrimm, can make it difficult for the machine to read the entire breast during an imaging session. Silicone and saline fillers increase breast tissue density and can result in further testing. Women who have had a breast augmentation procedure should specifically seek a mammogram clinic specializing in women with implants.